After last months My Little Box, I was fully prepared to cancel after my July one came. There was something about the last box that really narked me?! I don’t think I’ve even opened it since I reviewed it over on my YouTube channel. 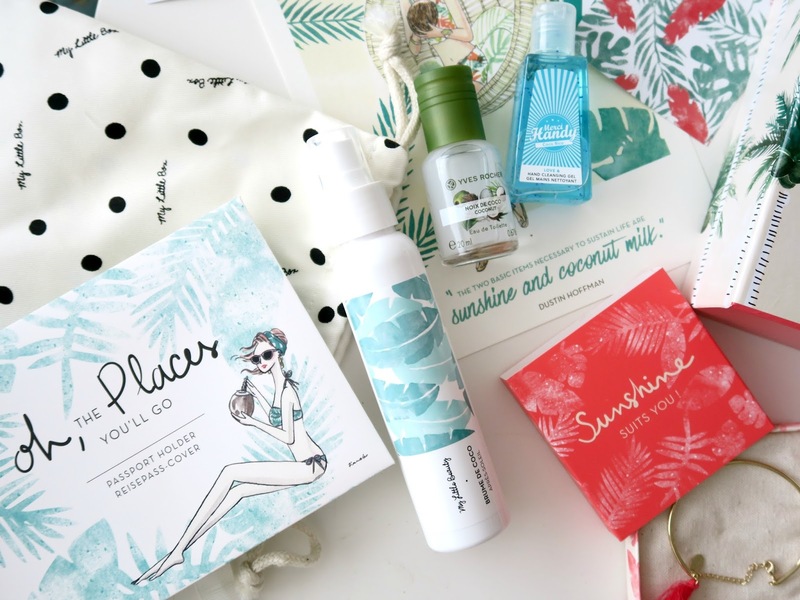 However, my tune soon changed as soon as I ripped open the outer cardboard box of the July My Little Box, It revealed not only the most magical looking coconut themed design, but the box itself was packed full with of things which I will actually find useful! Not to mention that coconut is one of my favourite things in the world too – both to eat and to smell. So Why Was My Little Box July So Good? Well, let’s start with the beauty side of things. Inside the little pouch was some hand sanitising gel (super handy for all the festivals I’ve been going to! ), some Yves Rocher Coconut Perfume (that I’ve had before and used a full bottle up) and some deliciously scented moisturising after sun, which is also lovely as just a quick moisturiser after a shower. Each thing smells divine. Not only that, but did I mentioned the amazing box design? OH, I did? Well I’ll mention it again as it’s SO BEAUTIFUL. The theme runs throughout the box, with each piece of literature and packaging inside echoing the theme, I do love a bloody good narrative. 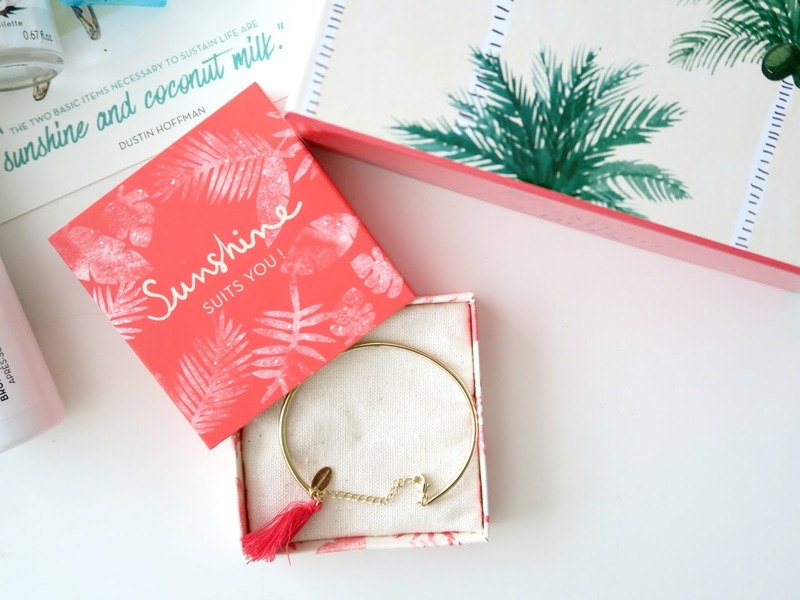 Alongside the usual magazine and cards containing information about the beauty products, you also receive a passport holder in a lovely leafy design, and this delicate bracelet from Stella&Dot. There’s so much thought behind getting the theme so consistent throughout and it really does go to show. It’s ticked every single box for what I want to see in a… box! And it has more than made up for last months box which left me really disappointed. So, I will be keeping my subscription for now and hopefully this high calibre of consistency will continue in to Augusts My Little Box. If you’re interested in signing up too, just head to www.mylittlebox.co.uk. You get it for a few quid cheaper if you have it delivered to your work address too!